At first glance, the idea of a counterfeit drug may seem harmless. After all, how much trouble could a fake drug be? From October to December 2015, many people across the United States discovered just how dangerous counterfeit drugs can be, after a counterfeit version of the prescription drug Xanax killed one person and left eight more in the hospital. 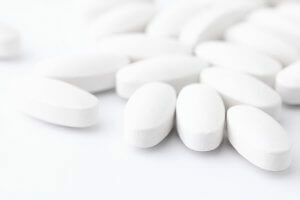 According to a CBS News report, the counterfeit Xanax pills were perfect replicas in size, color, and pharmaceutical markings; however, they differed in one critical way. While authentic Xanax contains alprazolam, a short-acting kind of benzodiazepine, the counterfeit product was laced with an extremely potent synthetic opioid called fentanyl. This case brought two major drug-related issues to the forefront of the daily news cycle: the dangers of buying drugs from an unlicensed provider as well as the pervading trend of recreational prescription drug use. Seven of the eight San Franciscans (the eighth being a baby who found a pill on the floor) had obtained their Xanax from an illegal source. As the dangers of counterfeit Xanax in particular are analyzed, it is important to remember that street drugs often carry the potential danger of masquerading as something they’re not, putting users at greater risk for side effects and overdose. When people sell drugs illegally, they typically seek out a way to produce their product cheaply and easily. To that end, many drug dealers dilute their product with other substances, creating a weakened copycat drug that dealers can sell for a higher profit. Usually, the products dealers use to cut their drugs are innocuous: baking soda or baby powder, for example. So, in the case of counterfeit Xanax, why did they use fentanyl instead? Simply put, fentanyl is potent – up to 100 times stronger than morphine or heroin – and often easy to get. As a Schedule II substance, an individual could potentially get a legal prescription for this powerful drug from a doctor, though it is generally only prescribed for cases of severe, chronic pain, often pain associated with cancer. In some cases, the fentanyl used in counterfeit Xanax pills is stolen from pharmacies or hospitals. The New York Times reported in 2016 that “the influx of illicitly manufactured fentanyl from overseas is a nationwide issue,” indicating that individuals looking to use fentanyl or sell it to others may have an easier time finding it outside of a pharmacy. So, what does a drug that is up to 100 times more potent than morphine do? According to an article in the Journal of Pain, fentanyl has been used for over 50 years as a fast-acting full opioid agonist to help people manage chronic pain. The drug is usually administered in either a patch or oral form; individuals with cancer are sometimes given lollypops infused with fentanyl to help them endure chemotherapy and other pain. Per the journal Acta Anaesthesiologica Belgica, fentanyl has “a superior clinical profile” compared to other painkillers. Suppression of breathing is a particularly harrowing symptom, brought to our attention by the late superstar musician Prince. As explained in Scientific American, the artist overdosed and died after using prescription fentanyl at his home last year. Under the influence of the drug, Prince’s breathing slowed drastically, ultimately leading to the loss of his life. This example revealed just how dangerous this drug is and how easily someone can overdose on it. As stated, when people buy Xanax on the street, they have no idea what they are actually getting. As a result, abusing counterfeit Xanax could be even more dangerous than abusing legitimate Xanax, which already comes with a litany of risks, up to and including death via overdose. It’s easy to avoid counterfeit Xanax. Those who have prescriptions for Xanax due to legitimate medical issues should only fill their prescriptions at a licensed pharmacy. People should not attempt to save money by purchasing Xanax online from overseas pharmacies since the authenticity of the medication cannot be verified. If a person is abusing Xanax for recreational purposes, the chance that they are procuring Xanax from dealers on the street is high. The best way to avoid inadvertently purchasing counterfeit Xanax is to stop abusing the drug. Since Xanax leads to severe physical dependence when abused, it’s important that those who abuse the substance get professional assistance with the withdrawal process. Detox should be followed by comprehensive addiction treatment to address the issues that led to abuse of the drug in the first place.